Lovable, cuddly, and oh-so-soft -- knitted toys make great playthings. Plus, they're fun and easy to do! 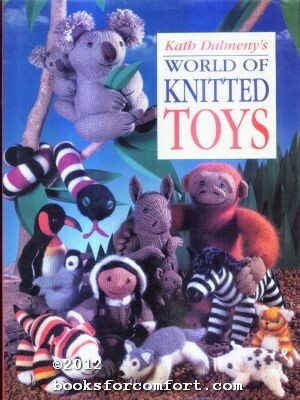 Knit a menagerie of whimsical creatures that will bring a smile to any kid's face. Just choose one that's right for your skill level: they're divided into easy, straightforward, and challenging. Altogether, there are over 60 animals from around the world: a spider monkey, snake, merino sheep, duck-billed platypus, kangaroo, baby husky dog, grizzly bear, emperor penguin chick, polar bear, panda, tiger cub, koala, cat, raccoon, moose, zebra, lion, elephant, and so many more!